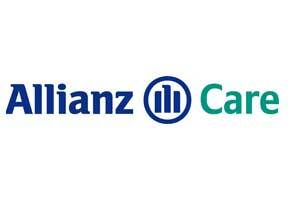 Allianz Worldwide Care is the international medical insurance arm of Allianz Group, formed in 2000 to specialize in providing consistently high standards of customer service to expatriates around the world. Allianz Worldwide Care has its headquarters in the Republic of Ireland, but has offices in Africa, Asia and the Middle East ensuring customers have the same high quality of service anywhere on the globe. Allianz's dedication to protecting expatriates and forward looking customer service practices earned them the "Best International Private Health Group" at the 9 th Annual International Investment Fund and Product Awards 2008. Their customer feedback driven business has made them one of the world's foremost insurance providers to internationally mobile people today. With a 24-hour customer hotline and support center, Allianz can guarantee you the assistance you need, whatever your situation, wherever you are. With years of international experience, Allianz has been able to keep all of its operations within the company. Because they don't subcontract to another company, it means they can provide a more efficient service process with a lower chance of errors and miscommunications. If you would like more information on the Allianz Worldwide Care plans we offer, or a free quote, please contact our international medical insurance advisers today.